For centuries the Huichol (Wixárika) Indian women of Jalisco, Mexico, have been weaving textiles on backstrap looms. This West Mexican tradition has been passed down from mothers to daughters since pre-Columbian times. Weaving is a part of each woman’s identity—allowing them to express their ancient religious beliefs as well as to reflect the personal transformations they have undergone throughout their lives. 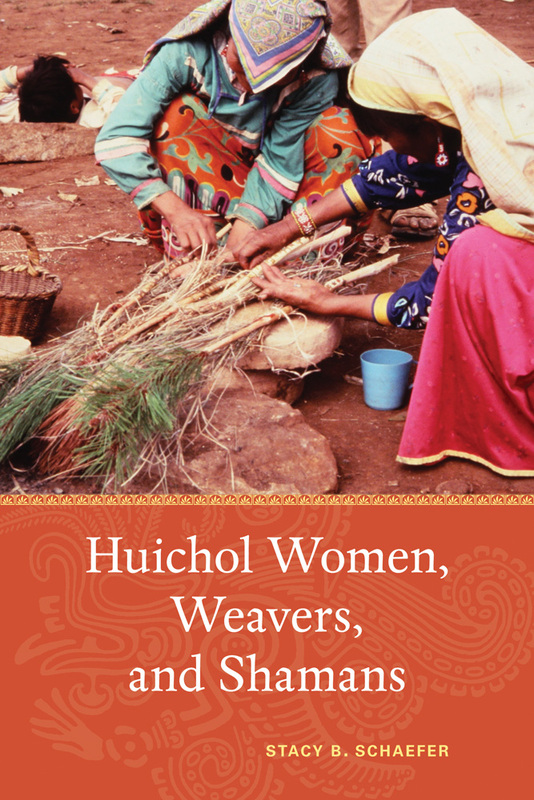 In this book anthropologist Stacy B. Schaefer explores the technology of weaving and the spiritual and emotional meaning it holds for the women with whom she works and within their communities, which she experienced during her apprenticeship with master weavers in Wixárika families. She takes us on a dynamic journey into a realm of ancient beliefs and traditions under threat from the outside world in this fascinating ethnographic study. Stacy B. Schaefer is a professor emerita of anthropology at California State University, Chico. She has worked in research, curatorial, and educational capacities at a number of California museums. The coeditor of People of the Peyote: Huichol Indian History, Religion, and Survival (UNM Press), her current research includes ethnographic fieldwork among the indigenous peoples of Chile and Bolivia and in the borderlands of South Texas.